One of Ford’s best-selling SUVs for a reason, the Escape’s popularity is born of its reputation for great fuel economy, versatility, and technology aimed at helping customers, and it stands proudly as an integral part of Ford’s SUV lineup. 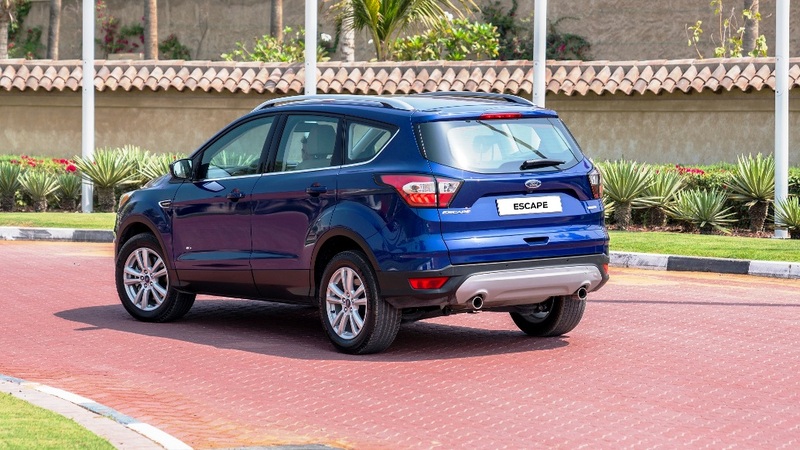 The new Ford Escape delivers an even more technologically advanced, refined and affordable sports utility vehicle (SUV), making driving simpler, safer, more enjoyable – even irresistible – for the ever-growing number of SUV customers in one of the most competitive segments in the Middle East. The new Escape offers Ford’s sophisticated SYNC 3 communications and entertainment system, innovative driver assistance technologies, an ergonomic and comfortable interior, and powerful and efficient engines including Ford’s twin-scroll turbocharged, direct-injected 2.0-litre four-cylinder EcoBoost® engine, which produces 242 PS and 366 Nm of torque. A 2.5-litre iVCT Duratec automatic petrol engine with 171 PS and 230 Nm of torque is also available, with each engine variant mated to a six-speed SelectShift® automatic transmission with paddle shifters. 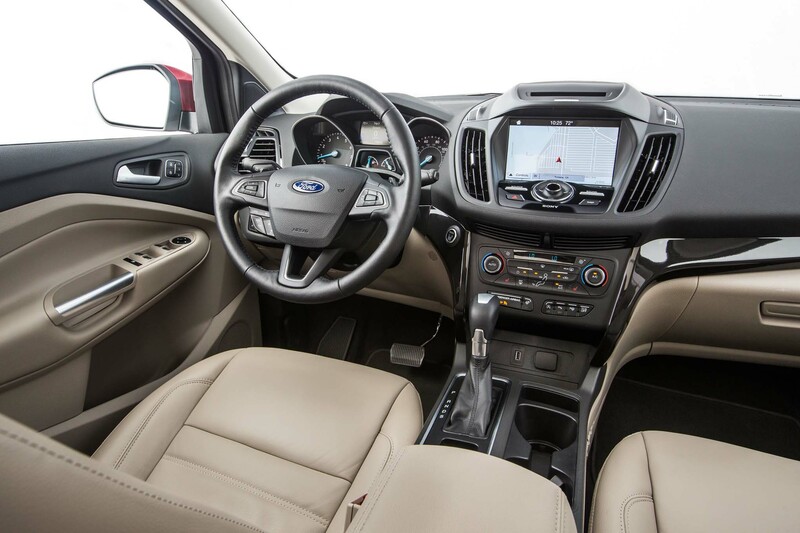 The new Escape also features Ford’s Perpendicular Parking technology that helps drivers park hands‑free in spaces alongside other cars; an enhanced version of the Active City Stop collision avoidance system; and Ford’s Adaptive Front Lighting System for optimized visibility in low light. Further advanced technologies include Hands-Free Lift-gate and Ford Intelligent All Wheel Drive (AWD). For the third-generation system, Ford has drawn on more than 22,000 comments and insights gained from research clinics and surveys to ensure the new version is the most customer-centric designed system. Simplifying the user experience by putting the audio and phone options customers use most at their fingertips, SYNC 3 has been further improved through increased processing power and a reduction in the number of steps required for a command. In addition to other new languages and the already existing French language support, Ford’s SYNC3 offers, for the first time, Arabic language capability – both text and voice activation – enabling simpler control for drivers. With pinch-to-zoom and swipe gestures, SYNC3 provides customers with a high definition experience of the eight-inch touch screen that is similar to smartphone screens, thus making it easier and more intuitive to use. Navigation also sees a greatly-improved system with SYNC3, including 3D support with landmarks, a Mecca compass, and enhanced junction view providing detailed lane visuals and guidance. Navigation also auto zooms out when the next manoeuvre is more than three kilometres away to make it easier to see the full route. Smartphone integration has been stepped up with several fantastic new features, including Apple CarPlay*, which allows iPhone users to make phone calls, access music, and send and receive text messages via voice control while the drivers’ eyes stay focused on the road. The system is also compatible with Siri Eyes Free which allows for easy access to Siri with iPhones connected via Bluetooth. Android users will be able to activate Android Auto*, which makes the platform’s apps and services such as Google Search, Google Maps and Google Play Music accessible in a safe and seamless manner through SYNC3. New Escape offers an enhanced version of Ford’s Active City Stop collision avoidance system, which now operates at speeds of up to 50 km/h, increased from 30 km/h. Active City Stop uses sensors at the front of the vehicle to look for stationary objects in the road ahead and pre-charges the brakes if the vehicle is approaching an object too quickly. If the driver still does not respond the system reduces engine torque and automatically applies the brakes to reduce the impact of collisions or avoid them altogether. The latest generation Ford MyKey technology allows new Escape owners to program a key for younger drivers that can inhibit incoming phone calls; restrict top speed; prevent deactivation of driver assistance and safety features; reduce audio system maximum volume, and disable the audio system altogether if occupants are not using safety belts. The enhanced MyKey system offers a greater number of choices in both the speed limiter and speed minder settings. 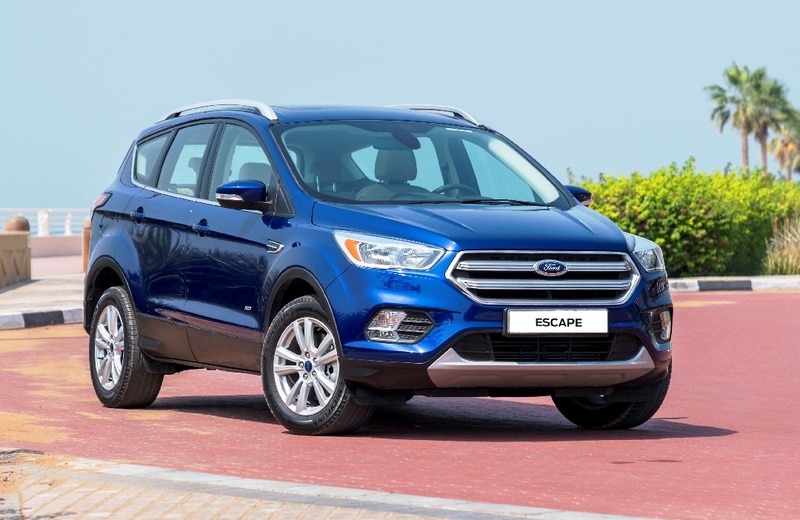 The new Escape features Ford’s latest design language for a bold and sporty look that is shared with the EcoSport compact SUV and new Edge mid-size. A large upper trapezoidal grille and a smaller lower grille are flanked by sleek new headlamps incorporating LED daytime running lights and complemented by stylish fog lamps. Restyled taillights complete the sporty look, while a new range of 17- 18- and 19-inch alloy wheel designs also are available in variety of finishes including Luster Nickel. A power-operated retractable tow bar automatically stores itself out of sight below the rear bumper when not in use, to retain the new Escape’s sporty looks. The new Escape’s meticulously crafted interior has been refined to offer a more ergonomic, stylish and comfortable experience for occupants. The steering wheel and air-conditioning controls are even more intuitive, and feature fewer and more easily distinguishable buttons and switches, making the controls easier to recognise and navigate. New convenience features make Escape even more user-friendly; an electronic parking brake is effortless to operate and frees room for improved storage in a centre console that now also features a storage area capable of accommodating a variety of bottles and cups, and a new USB connection point for integrating and charging mobile devices. A door lock indicator now tells drivers at a glance whether the doors are locked. The Escape also offers Hands-Free Liftgate that can be opened or closed using a kicking motion beneath the rear bumper. The technology helps parents to easily access the boot when returning to their vehicle with shopping, pushchairs or toddlers. The new Escape’s sculpted bonnet features a wider, uninterrupted central dome that not only serves to complement Escape’s sporty new looks, but also incorporates a structural design that more closely controls deformability and flexibility of the bonnet, improving pedestrian protection in an accident. The bonnet and rear lift-gate also have been re-engineered to help mitigate damage to more expensive-to-replace components following a collision. The new Ford Escape follows the introduction of the larger Edge CUV last year, and an updated compact EcoSport SUV the year previous. New Escape and the Edge are among five all-new or redesigned Ford vehicles that will compete in the SUV and crossover space in the next three years.